The Library is a venerated institution with a worldwide reputation for research and discovery and optimizing the mobile experience revealed the Library as a community center, research place, online resource, exhibition space, tourist destination, literacy center, place to cool off (or get warm) or collect one’s thoughts in peace. 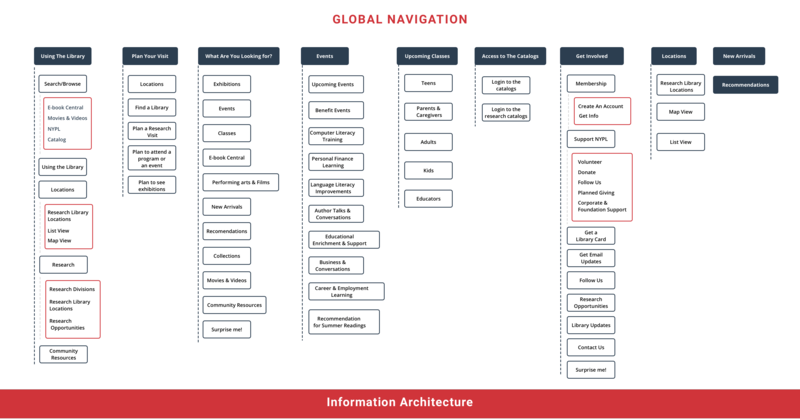 We ultimately targeted top level navigation.  Social media-like parsing might motivate users to try conventional navigation. 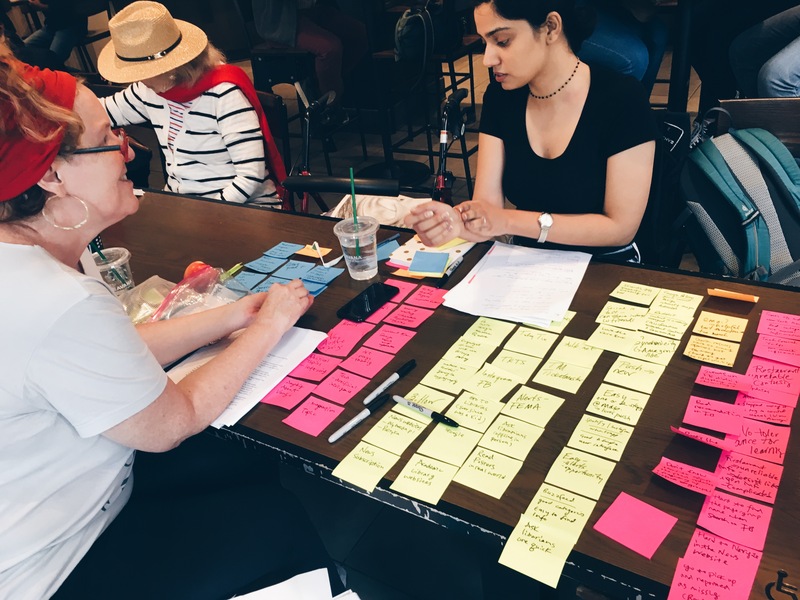 The affinity mapping (sorting qualitative research) and card sorting illuminated the challenges users (as well as library staffers) experience in attempting to sort and access library tools, resources and services. Specifically, the card sorting revealed the depth of the redundancies in naming conventions and categorization. Sorting and diagramming findings from qualitative interviews. With research firmly in hand, we began brainstorming. We plotted four-stage user journeys: discovery, exploration, selection and action. 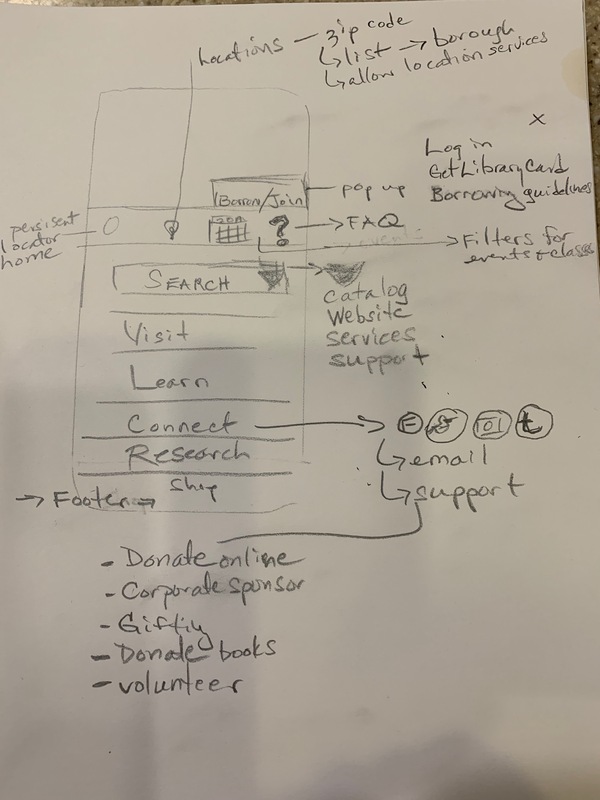 The journeys and the questions we posed of our users informed our initial plans and sketches. The sketching process was brisk and exciting, allowing us to quickly express ideas regardless of actual functionality. Limited technical skills fueled my ability to ideate. More time with the user journeys may have resulted in more emotionally connected IA. 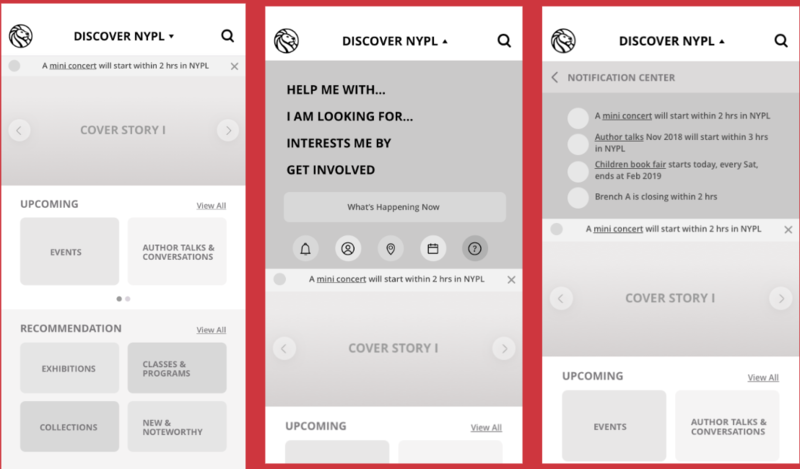 Exploring task oriented navigation options. The site map challenged us to make decisions. We reacted to our card sorting results. 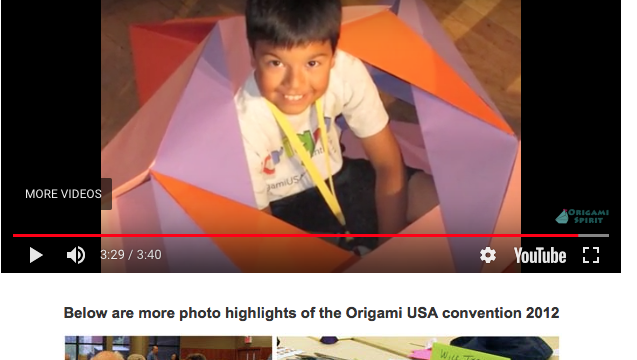 This was the right thing to do, but the speed of the process caused us to lose track of an important finding: some users created action-oriented categories. With feedback from the stakeholder we revised and simplified the site map. 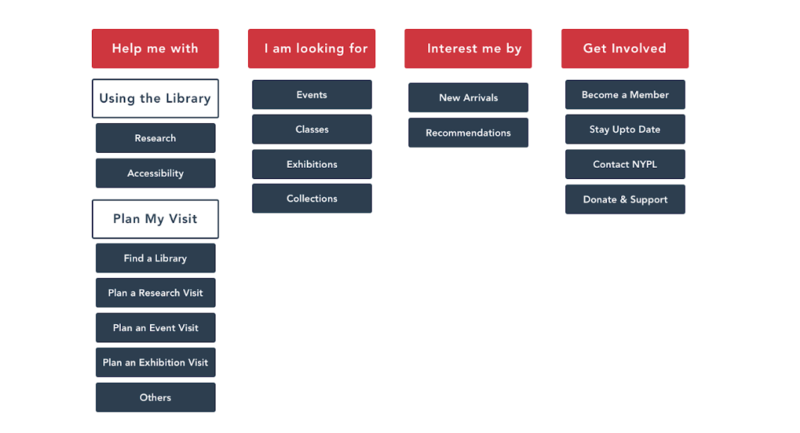 Looking at how other libraries and institutions handle information architecture and experience design proved useful. In other contexts, competitive research was much earlier in the process. This was better. It would have stymied creativity and made it too easy to resort to copying ideas that appear successful. 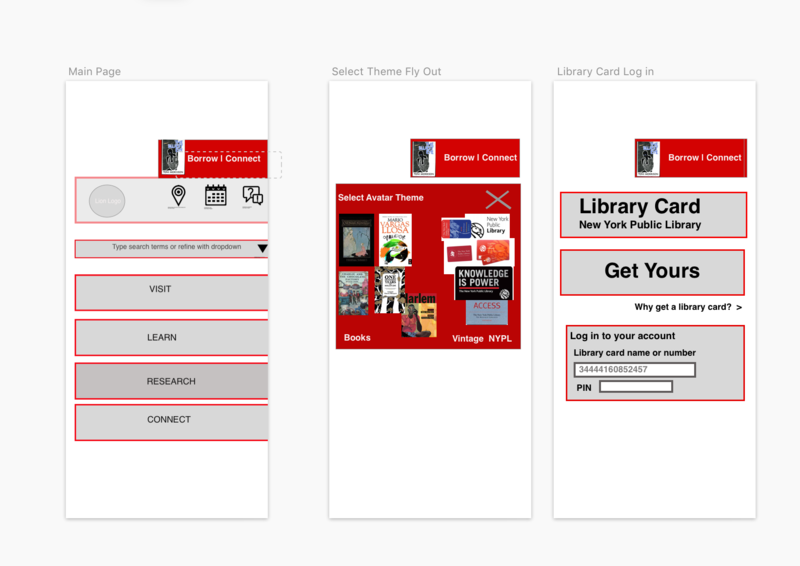 We saw much that we liked, including the task-oriented navigation at Boston Public Library. We ultimately included that in our prototype. It tested well, and was consistent with users’ desire for non-hierarchical navigation. We moved rapidly from sketches to wireframes to prototype. It included the task-based navigation, strong labeling that encouraged exploration along with an animated calendar of events. Users reported universal dissatisfaction with the labeling, finding it redundant and ambiguous. They liked the task-oriented navigation, but wanted it located at the surface. Most reported that the animated “What’s Happening” was fun, but wanted it to move slower. 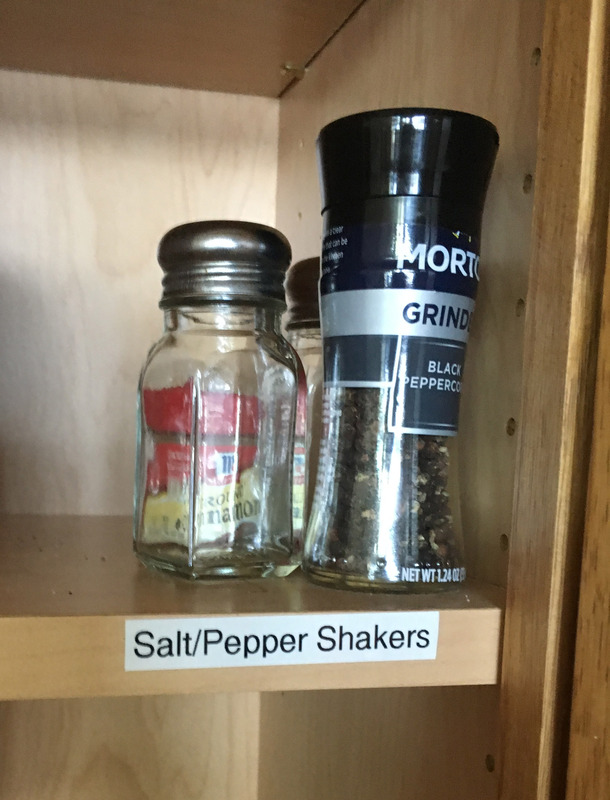 We incorporated the feedback, creating simpler and fewer labels. As we drew toward the end of the process, I became more adept and confident in my ideas and how they fit into IA/XD. 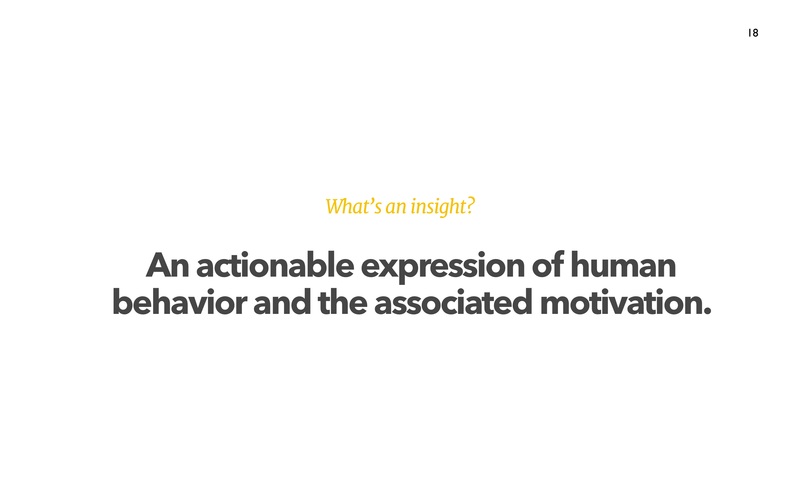 For example, our qualitative research uncovered a desire for a social component and connection. 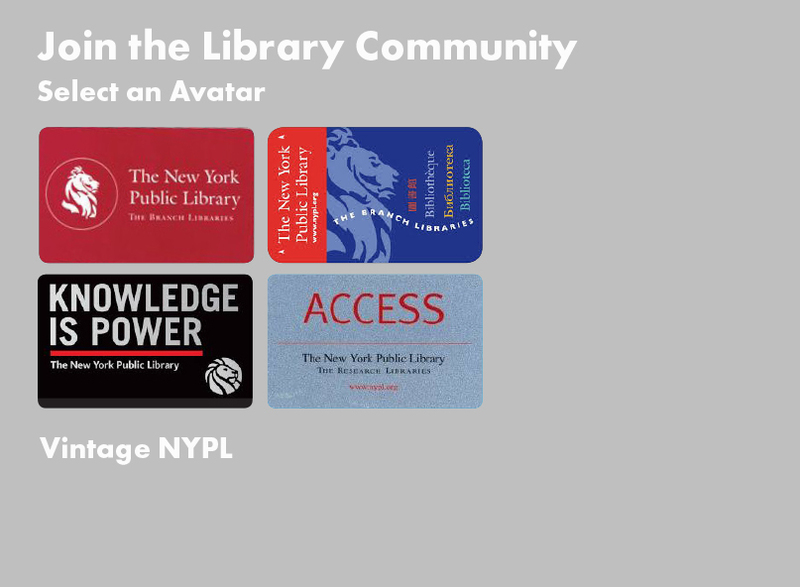 I developed an avatar idea that would ultimately promote the acquisition of library cards, but also promote the idea of being a part of something big. The flow was not fully developed, but after a few tries I created an idea that will work. And that was satisfying for me. It was at the end, but the idea came out of an accumulated understanding of what we had been doing. 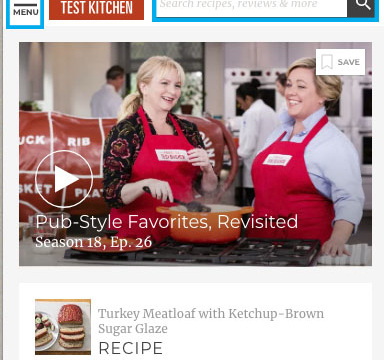 America’s Test Kitchen (ATK) has long separated itself from its Food Network siblings by its serious approach to cooking and a rich, subscription website. 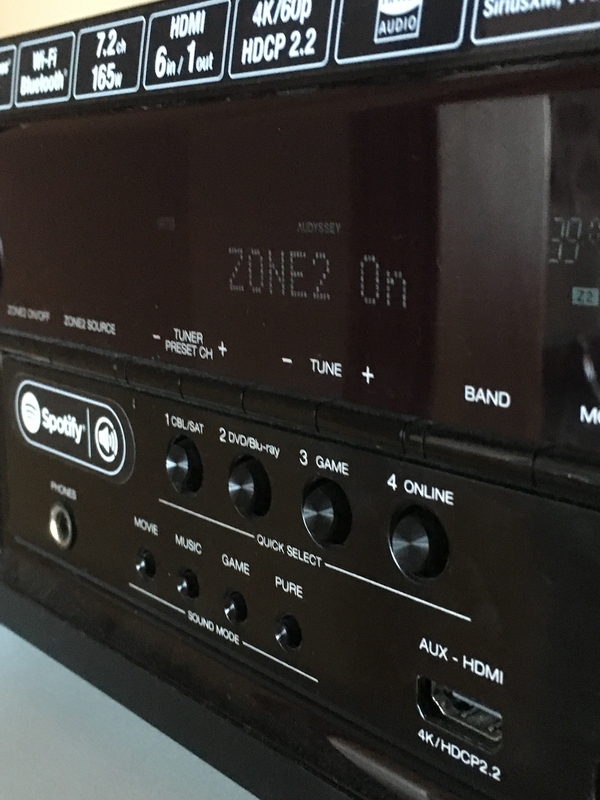 The experience is close to seamless as users are able to access and watch familiar television episodes and the tone of voice mirrors the on-air relationship that the ATK conveys. ATK seems to want users regardless of where they are or the device they’re using. It keeps navigation simple regardless of mobile or desktop experience. It’s clear ATK understands its users desire to explore or solve a problem, and provides easy navigation for those journeys. 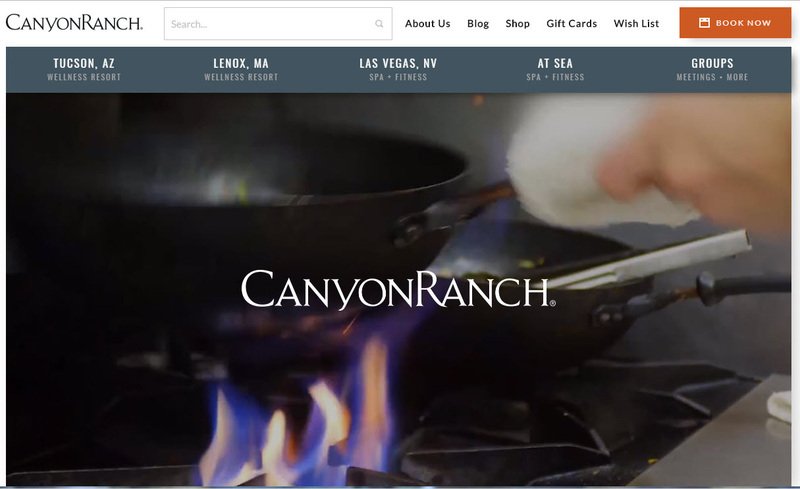 Once logged in, one is greeted by familiar faces of the television show, minimal top navigation, easy-to-grasp scrolling, and a search box that indicates the site will look for more than just a recipe. 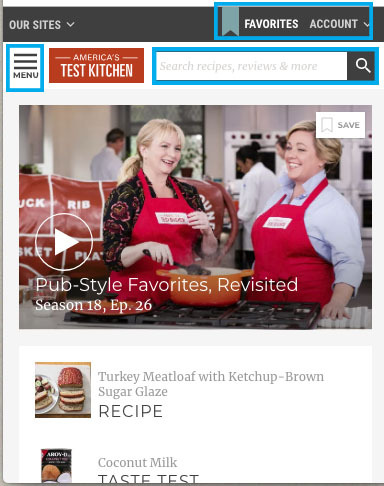 America’s Test Kitchen home screen has all the familiar features: robust search, favorites, and hamburger navigation. 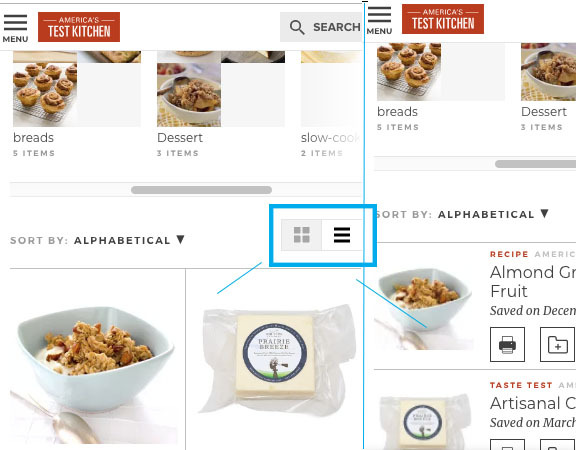 Other key features from the desktop experience are easy to locate and easy to use. 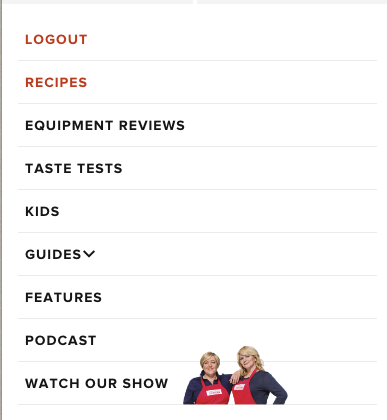 Click on favorites, which bears the same blue strip on the desktop version, and the user will see all the recipes saved. It can be sorted by “collection,” “alpha,” or “date.” The user can view as boxes or a scrolling list. Both views include trademark professional images. 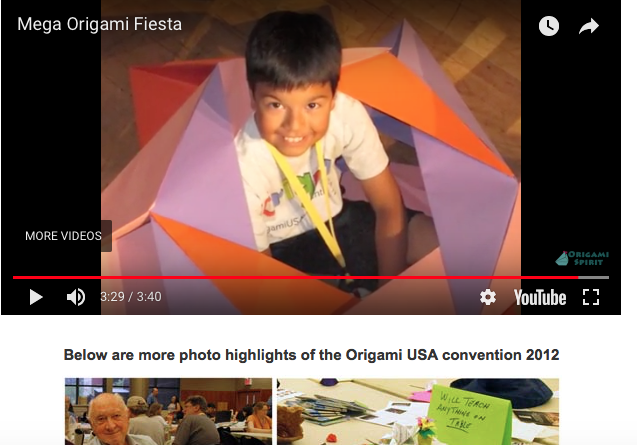 Favorites are organized and can be viewed in boxes or as a list. Both include images. 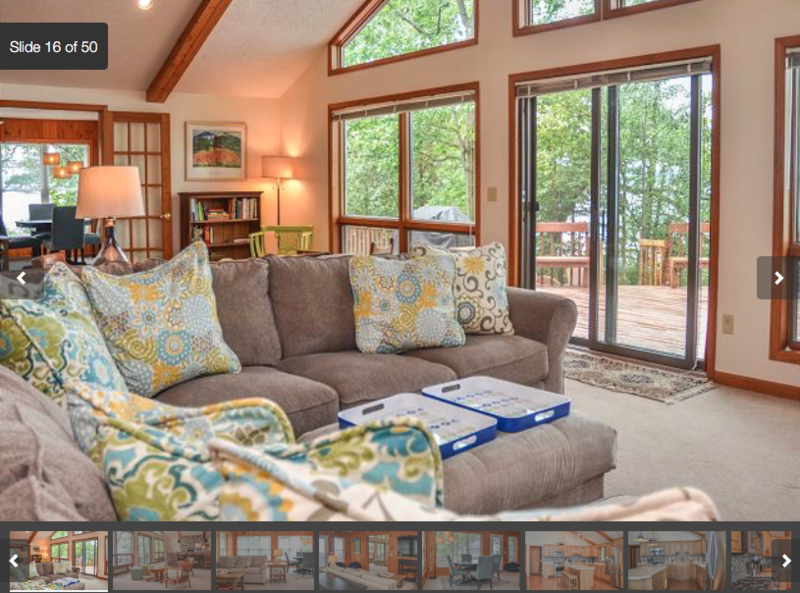 The navigation on the desktop is fairly simple, and is handily folded into a hamburger on a mobile device. Hamburger navigation mirrors desktop navigation. There is room for improvement. ATK is a subscription site, but pushes additional purchases and free trail memberships constantly. 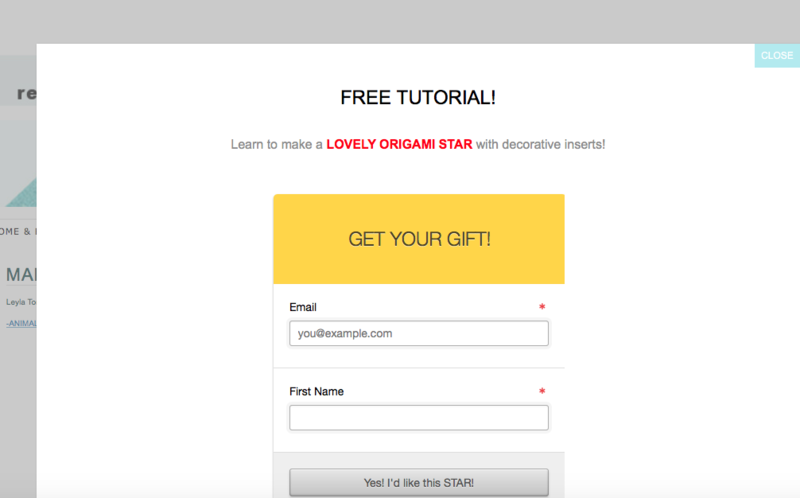 It creates a negative experience and can leave the user feeling that a non-subscription site might be just as good. Still trying to log in but still getting offers. Peterson, Clarissa. Learning Responsive Web Design. O’Reilly. p. 224. Weddings are highly sensory, emotional experiences, loaded with expectations. My niece got married on Sept. 8 in front of a small group of friends and family who were gathered together by phone calls, texts, US Postal invitations, email follow ups and a website. 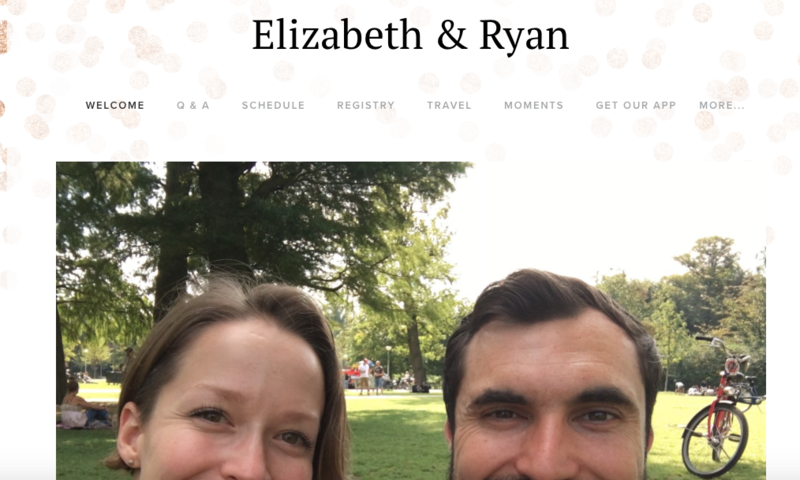 The website, Elizabeth & Ryan (Figures 1,2), a sub-site of withjoy.com, conveys the couple’s sensitivity to their needs of its guests along with the couple’s desire to host an inexpensive, low-maintenance wedding that is also a memorable celebration. 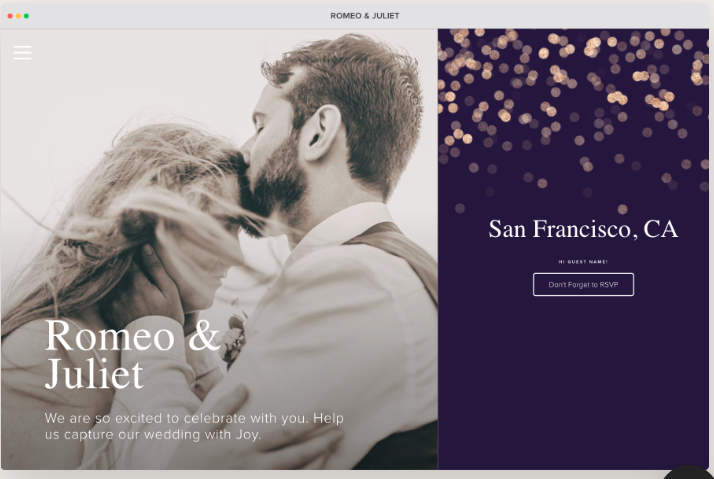 The casual pose, looking directly at the camera and navigation limited to wedding basics show users to expect a moderate and no-frills experience. Figure 2. 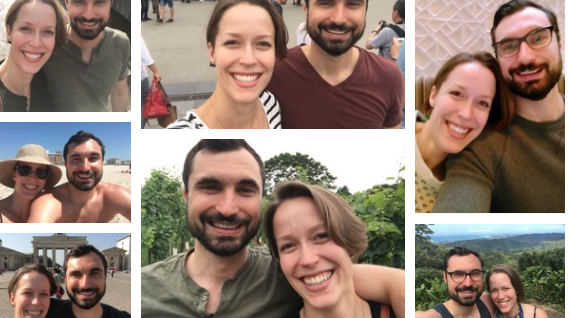 In contrast to Elizabeth & Ryan, withjoy.com’s sample pages are full of romance and couples gazing into each other’s eyes. No formal constituent interviews were performed, however, the couple did conduct informal interviews (with friends and relatives) as well as some observation (attending nuptials of close friends in the same locale) , which then informed their website.The couple wanted a simple affair that they could plan themselves while working full-time. 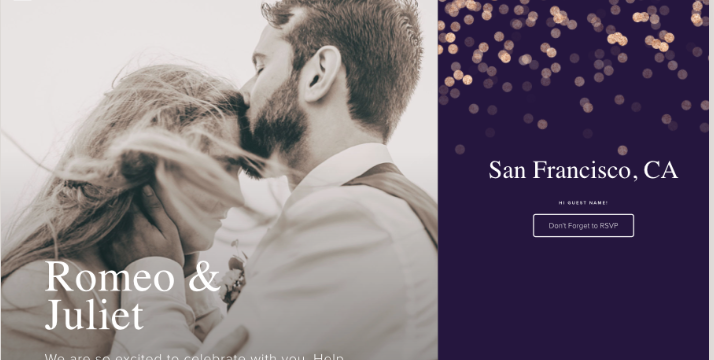 The website reflects that objective and provides an easy interaction experience, helping guests without bogging down the couple with multiple individual emails and calls. The majority of guests were under age 30, yet, the couple was aware of the needs of various constituents. 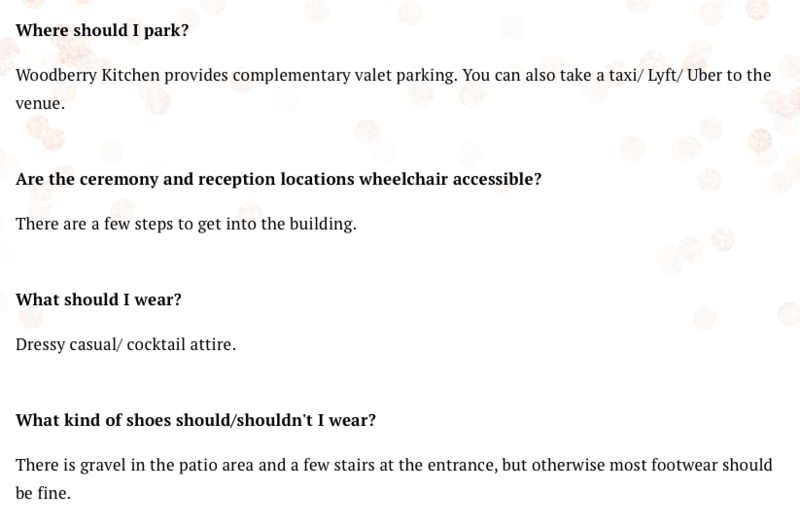 As you can see in Figure 3, the couple includes information on wheelchair access, which might be useful for older guests along with information about footwear, so that guests wearing heels can make the best choice. 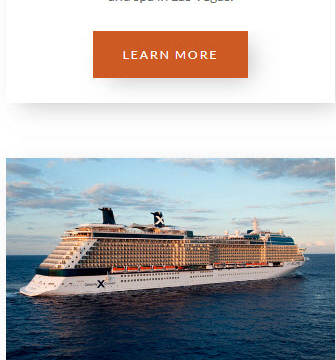 The footwear information is so specific, it seems to be the result of conversations with people who have been to weddings and wished for better venue recon. Figure 3. The Q&A section provides information that helps people with special needs feel comfortable at the event. Sometimes it’s one’s closest friends and family who pay the least attention to important information. The couple recognized that constantly repeating information would create angst for themselves, so they frequently put themselves in the shoes of their guests, knowing they’d ignore a certain amount of information and require updates.The bride created and sent a series of emails. Figure 4 is a good example, showing a small update and providing all the information that is also on the website (Figure 5). Figure 4. 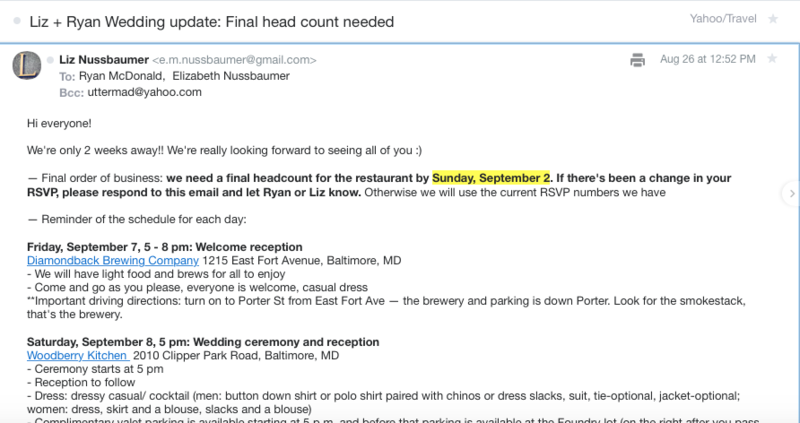 Email from the bride and groom with a reminder along with information also available on the website. Figure 5. 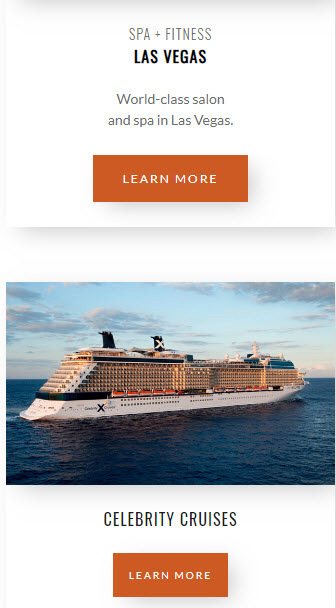 The same information that was sent via email is available on the website, so guests can get information they way they prefer. In so many ways the couple’s careful consideration of the needs of their guests was evident. There is room for improvement (though most users hope the opportunity doesn’t present). Every guest has a personal relationship with the bride or groom. As they milled around before the ceremony, it was clear that many didn’t know much about the other half. The couple could have made better use of the “Moments” section and even added an “About” section (Figure 6). Figure 6. The Moments section was populated with images of the couple with no indication of where or when the photos were taken. 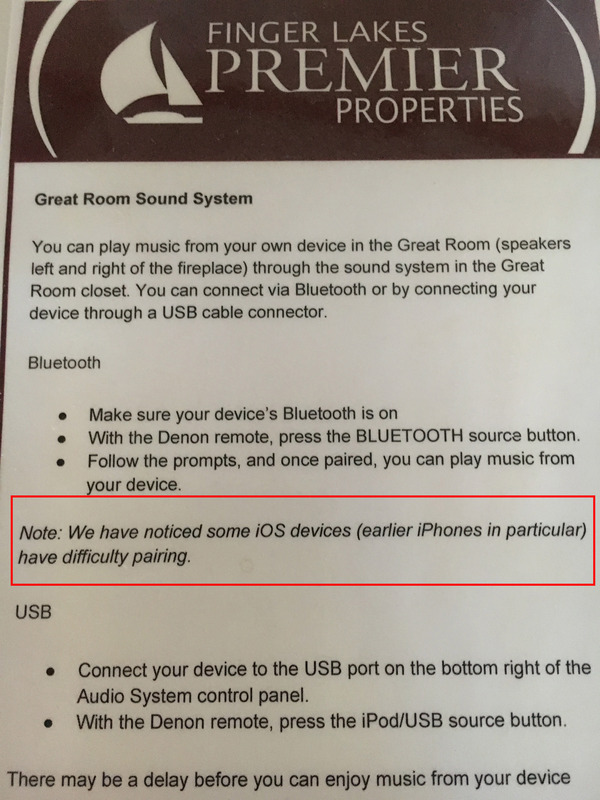 It’s a small miss in an otherwise well-informed, user-centric wedding preparation experience. I recently sat down with Dave Lumerman, the in-house usability tester at New York Life. Over the 15 years he’s been with the company, he’s evolved into user-tester after a career in animation, advertising illustration and web publishing. His approach has always been user- focused. In this burgeoning field, he’s had to be strategic in promoting the value of user-testing. He made inroads by taking on the less attractive aspects of web production and honed his user testing expertise. He continues to fight the good fight, showing the ease and cost-effectiveness in testing. But inevitably, he’s found one needs a high level advocate. Early on in your career you made yourself useful by creating what you call “good HTML.” What do you mean by that? At the time (2001) it was the Wild West. Developers were building things based on their mental models which didn’t really equate to the mental models of the business areas they were supposed to be serving. There was no standard. The W3C [World Wide Web Consortium] was still young. There were no standards. Things that should make sense from screen to screen didn’t. You might start out with a button that’s square on one page and a click or two later, now its round and it’s a different color. It wasn’t uncommon to be working in an application, click a button and arrive at a screen that was entirely different as if you went to an entirely different application. In 2001, web standards were still in the “Wild West” phase. So I took that on. I created house standards. This is stuff that is considered a no-brainer today. But what I did, what my team did, was to make the developer job easier. That got us a seat at the table. 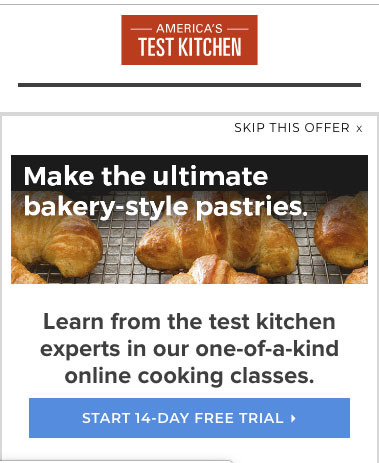 So how do you go from cleaning up HTML to becoming a usability tester? We were not considered as important as the web strategy team, but then something happened. The entire employee benefits enrollment program used to be a collection of paper forms. It was very complicated on paper. The developers found a way to put it into a web-based system, so an employee could do it all online. The developers showed it to the CEO, and there was blood on the walls when he was done yelling at them. What they created made him feel stupid because he couldn’t figure it out. The company had made a huge investment, so something had to be done. The developers batted it over to us to fix. We went through all the paper artifacts. We identified what made sense to translate into an online interface. Not only did we develop the application, but we did something radical. We put in front of actual people. They’d done this way back when there was a usability competence here to deal with mainframe applications. We included power users, but we also included people who only used a computer to select benefits. Our efforts paid off. We made the investment pay. None of this was recorded. This was just us watching them. 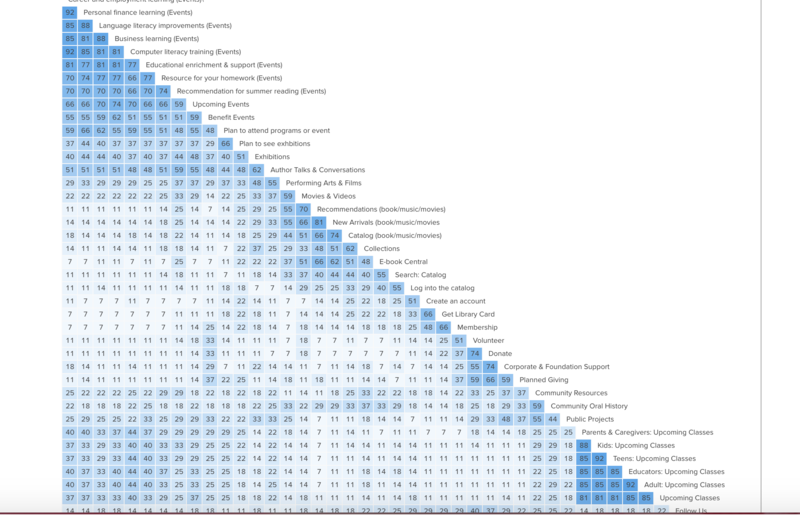 Fast-forward 14 years, and it’s all recorded, it’s all standardized. There are things like test scripts. None of this existed then. So from that milestone, how has your role developed? It’s a different environment now. We had the best thing you can possibly have at a corporation. We had an advocate. If you attend any conferences they all say the one thing: you have to have an advocate high enough in the organization to effect change. We had that. We never dealt with him again personally, but we has license. All we had to do was mention that story. That’s changed. User-testing is something I find I have to promote. Council Central is where the company’s 10,000 sales people can find all information on how to qualify for a sales Council meeting, where each meeting is held, registration and access to presentations post-meeting. It also contains promotional information on the location and activities. The initial launch was well received by the sales force and also by Home Office executives. 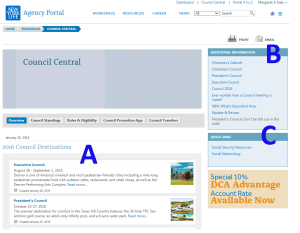 That Council Central is accessible from the front page of Agency Portal – and all subsequent pages with Council Central – and that with one additional click of the mouse agents can obtain qualification requirements (tab under masthead) or standings (tab under masthead) is a mark of progress. And it’s a functionality that has been maintained. Fully two years later those functions continue to allow the user get that information in the same easy manner. Ease of locating other Council-related content, however, hasn’t been maintained. These successes and complications are a good jumping off point for improvements. 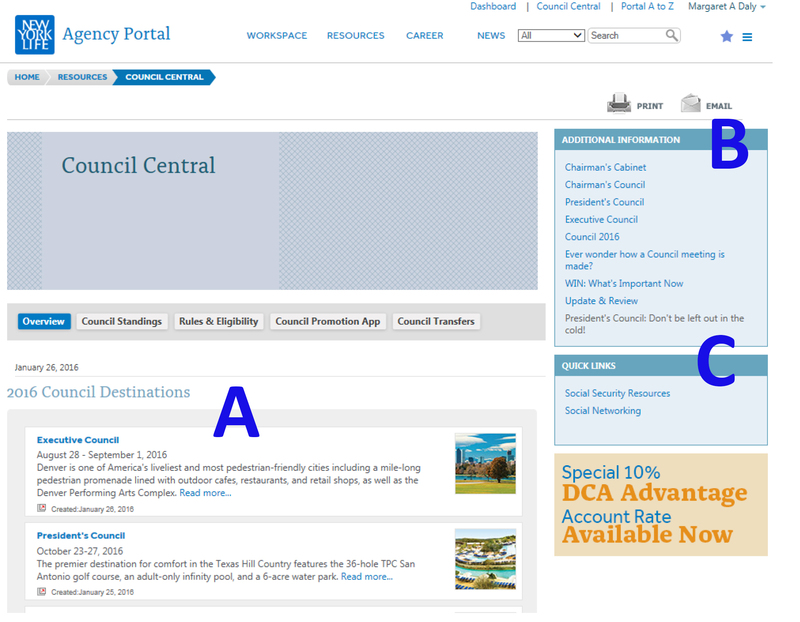 The page is called Council Central with the perceived affordance of centrally locating all information relating to Council. Yet the departments that control the various aspects of Council experience (there are at least three) don’t agree on how to support the site. As a result, agents who go to the site find some information, but soon discover what is missing, and then determine a search strategy. 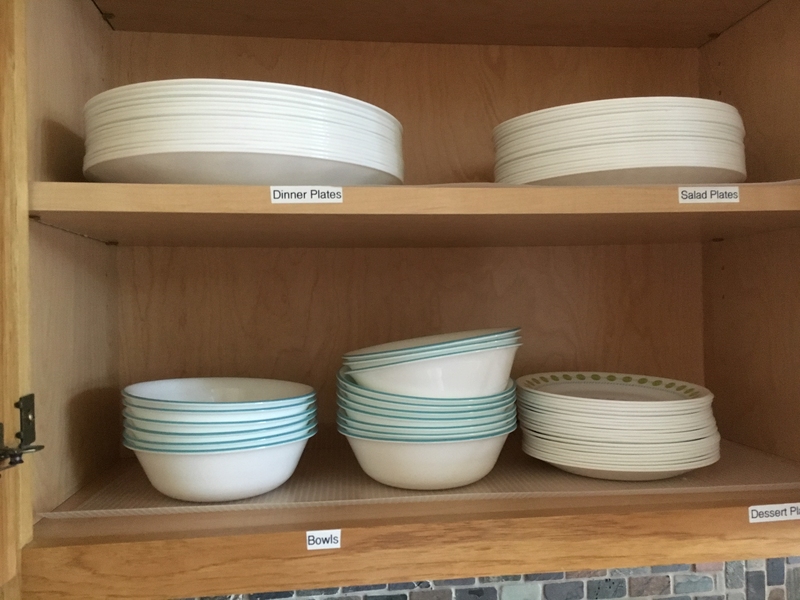 The unrealized perceived affordance creates a mistrust about the validity of other perceived affordances. 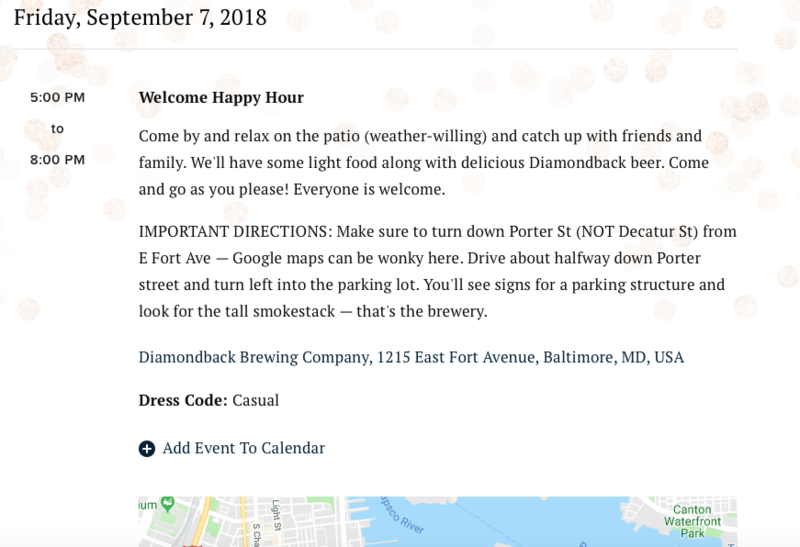 A combination of improved mapping, leading to improved visibility, and the creation of constraints would make the perceived affordance an actual affordance. As you can see from the screen image, there are two places on the site for each Council level. 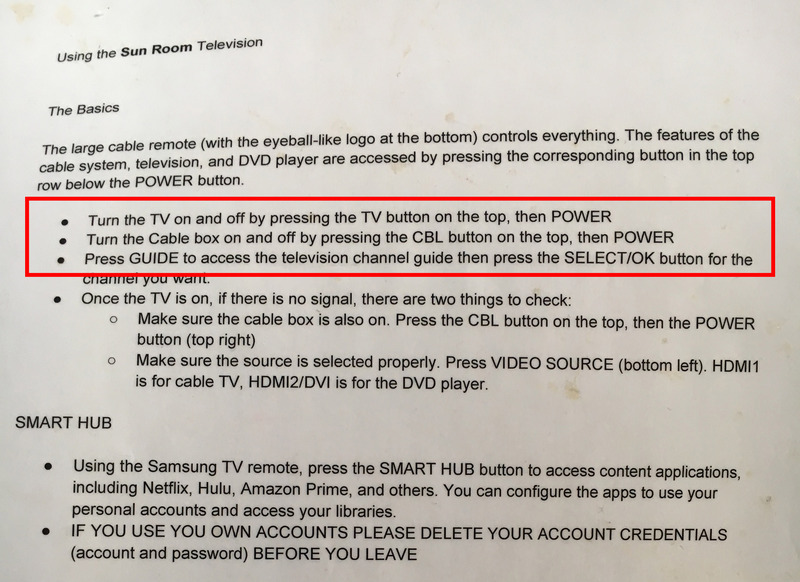 Both lead to the same place, so eliminating the ones in the “Additional Information” (B) section would improve visibility and enable the user to take the correct action. The remaining items in the “Additional Information” section should be moved down to the “Quick Links”(C) section. However, to improve visibility, it would be better to label the section more specifically. The items are intended to direct the user to ideas and strategies that drive sales that help them qualify. So a better, more obvious title would be “Earn Council Credits.” That box would then have a link to “W.I.N. 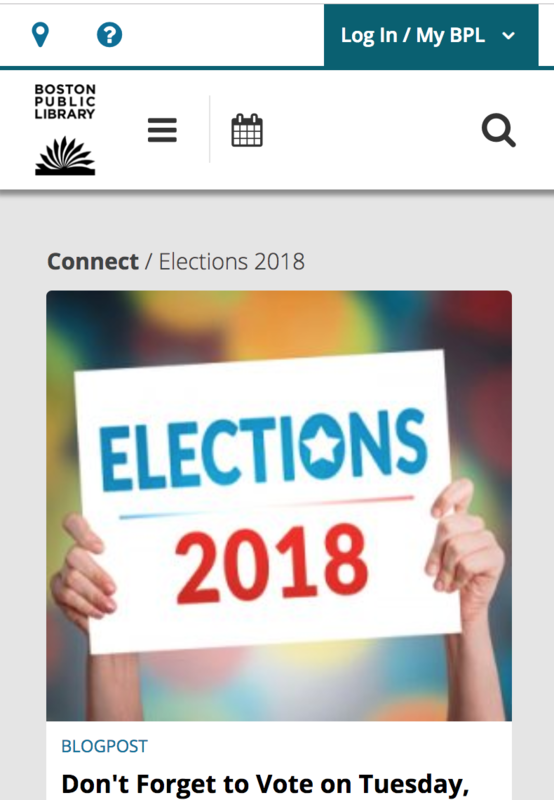 What’s Important Now?,” “Update & Review,” “Social Networking,” and “Social Security Resources.” These are all web locations with information and actions that directly lead to earning Council Credits. The tab labeled “Council Promo App” (tab under masthead) should be removed immediately. It is a dead link leading to expired content. 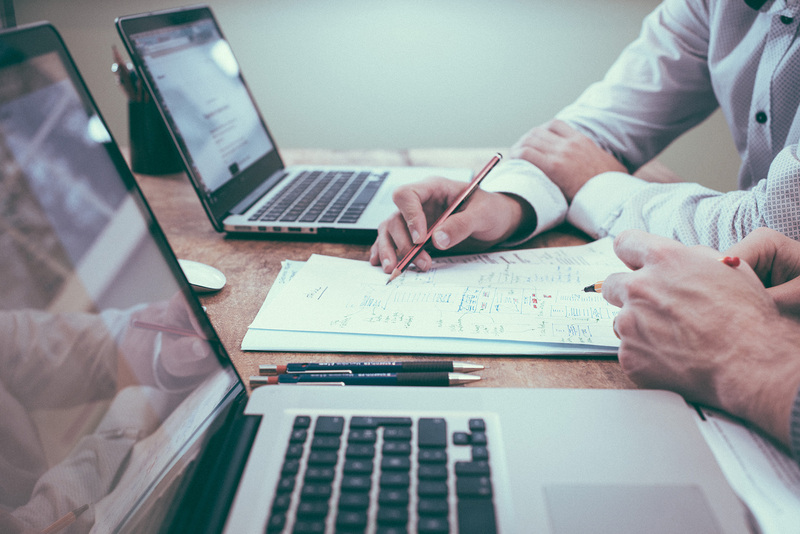 Promotional content should be included in the content for each meeting. 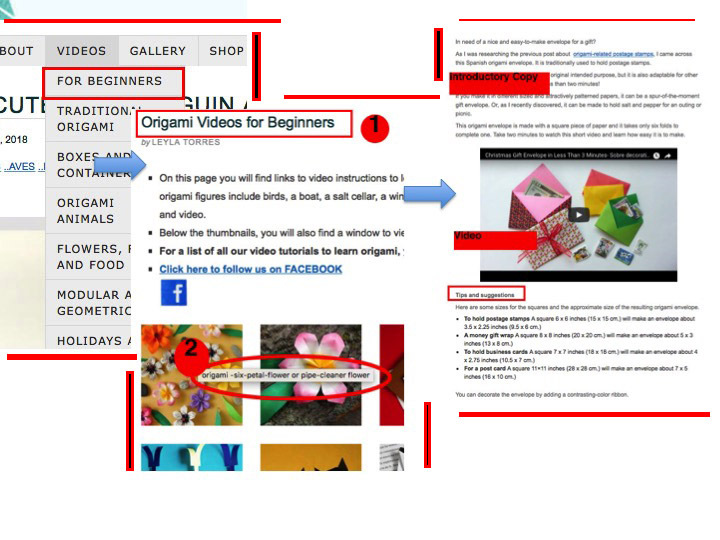 If it applies to all four meetings, then it should be contained in an overview section on the main landing page. The “Council 2016” (B) content could be located in the same overview section. “Council Standings” and “Rules & Eligiblity” are very clear headings and contain the information that a user would expect to find there. Moving “Council Transfers”(tab under masthead) into “Rules & Eligiblity” would tighten up the visibility, and signify to users that they don’t need to be on the lookout for dangling, spare information. 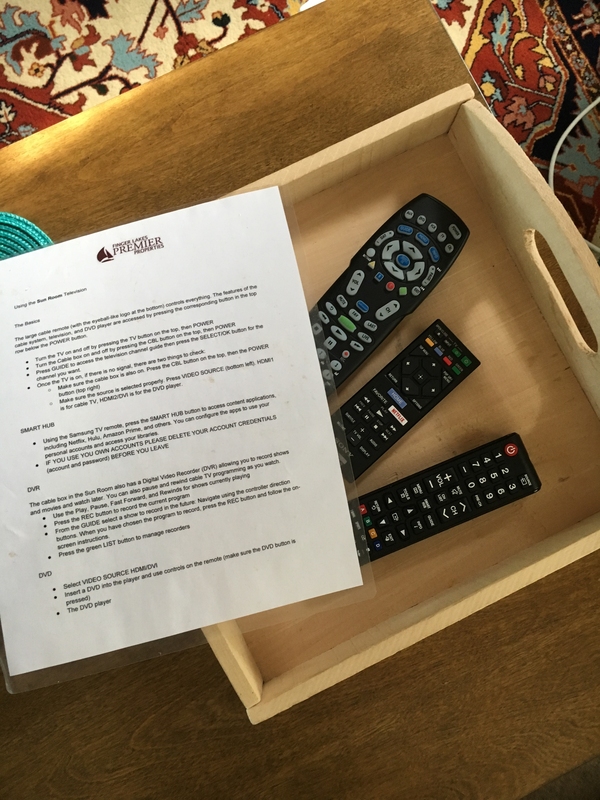 One department creates meeting content and another manages logistics. Each posts in locations that are administratively convenient. However, it becomes problematic for the user and also undermines the primary affordance of centrality. A constraint that forces all information to post in Council Central would be effective. I recommend making all sections visible whether they are live or not. This would show users information they need and will need. 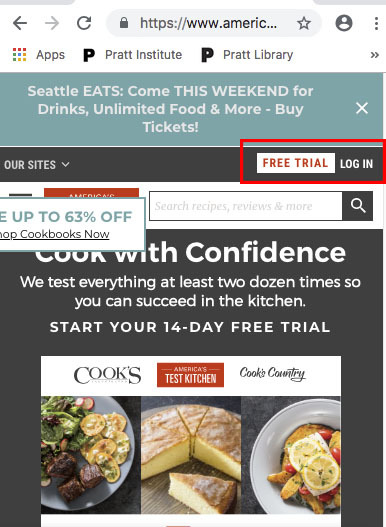 Users would see a “registration” tab. It wouldn’t be live until registration opens. Similarly, a “Meeting Presentation” tab would be visible and could be live, containing presentations from 2015. 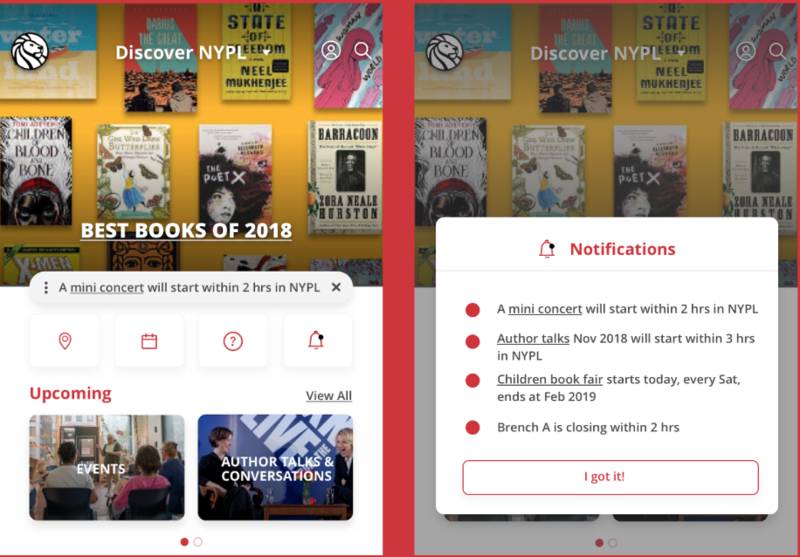 This adds value showing users the important content from the previous year. And iniates an unconcious learning process that causes users to go to Council Central for everything.